Irish Hills Farm is located in a pretty little valley. We have an small indoor training arena and outdoor arena that is 80 x 140. We currently have six stalls with three for foaling mares. We have lots of pasture and turn-out areas. Irish Hills Farm is located a few miles outside of Cameron, IL. We are approximately 8 miles from Monmouth and Abingdon. We are approximately 9 miles from Galesburg. We are an hour from the Quad Cities and Peoria. We are 45 minutes north of Macomb. Pauline Curry is the Stable/breeding managerr at Irish Hills Farm. She has a B. S. in Equestrian Science from William Woods University. She started riding and competing at a very young age. She held the record for the youngest member of the Curry Family to learn to canter at age 5. The record was broken by her niece at age 4 1/2. Pauline has ridden and shown a variety of breeds. She has competed in Saddle Seat, Hunt Seat on the flat and over jumps, Western Pleasure, Trail, Sidesaddle, Driving, Equitation (3 different seats and sidesaddle), Halter, and Showmanship. Some of Pauline's accomplishments in the showring include: variety of youth high points, 4-H awards, showing mules at all levels and types of competition, havng numerous wins, especially trail (western and sidesaddle), on Zodiah Khaide, high point year end awards (English, Western, Trail, & Driving), WSFI Western Challenge Class winner at Ride Aside 2002, numerous futurity wins and ribbons, andeved more. Pauline handles the stable and breeding management of the farm. Call her today at 309/368-7115 to book a breeding to one of our stallions. Rebecca Curry is an instructor/trainer at Irish Hills Farm. She has a B. 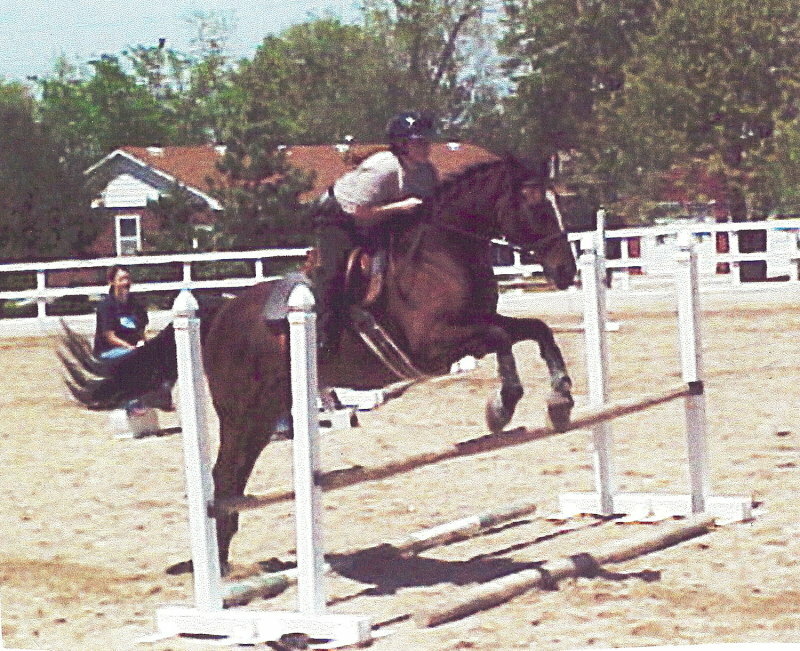 A. in Equestrian Science from William Woods University. She started riding and competing at a very young age. Rebecca has ridden and shown a variety of breeds of horses. She has competed in Saddle Seat (3 and 5 gaited), Hunt Seat on the flat and over jumps, Western Pleasure, Sidesaddle, Driving, Equitation (3 different seats and sidesaddle), Halter, and Showmanship. 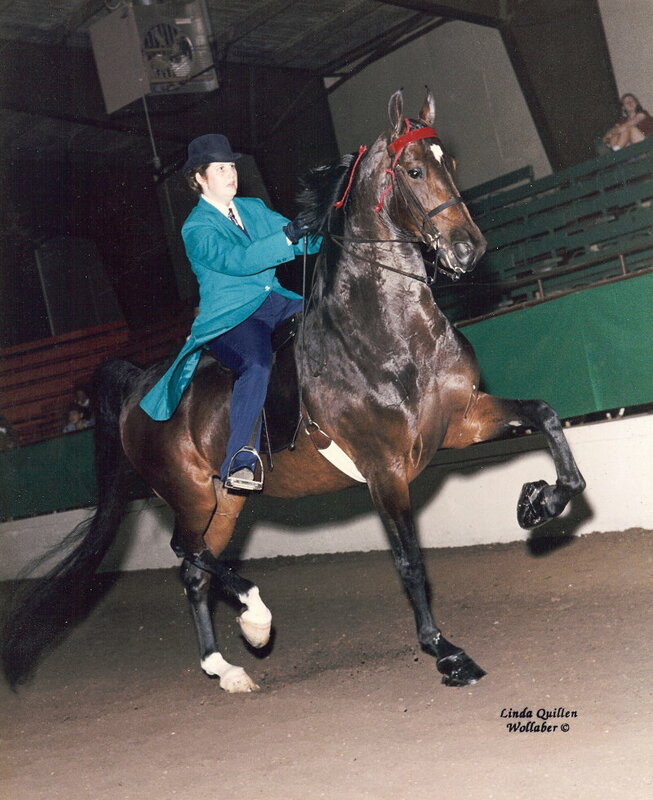 Some of Rebecca's accomplishments in the show ring include: showing mules at all levels and types of competition, variety of youth hi gh points, 4-H awards, winning qualifying classes to compete at Ak-Sar-Ben, 2nd in 3-gaited on Country Melody at American Royal, successfully showing Only Elegant a season in Show Pleasure with wins and ribbons, high point year end awards, winning the qualifying class for the Langston and Caldene Equitation class at 2002 Ride Aside, numerous futurity wins and ribbons, and more. She has also had riders do extremely well in Saddle Seat, Western, Hunt Seat, Showmanship, and Equitation (in all three seats) in the show ring. Rebecca taylors both her training of the horses and riding lessons to the individual. Calll her today at 309/368-7534 to set-up your riding lesson or set-up training for your horses.